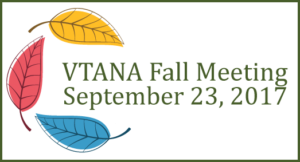 The Vermont Association of Nurse Anesthetists (VTANA) invites you to join us for our annual VTANA Fall Meeting! 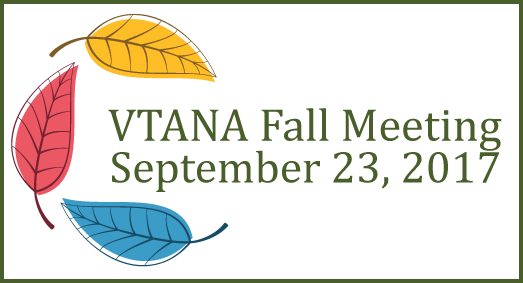 The meeting will be held on Saturday, Sept. 23 at the Stoweflake Resort and Conference Center from 10am-4pm. This event will include lunch and a presentation by VTANA’s strategic planning consultants. Please RSVP by Sept. 10 to Ashley Norris, President-Elect and Treasurer, at ajn6782@yahoo.com.